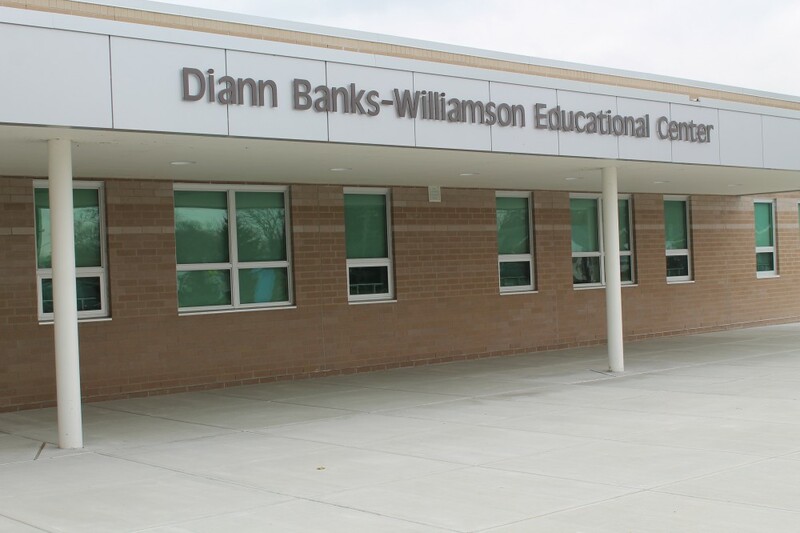 Outdoors, the first snow flurries of the season and a cold westerly wind combine to make the large, shared high school campus even chillier in the emerging daylight at 7:50 a.m. 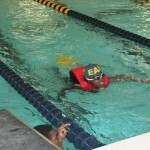 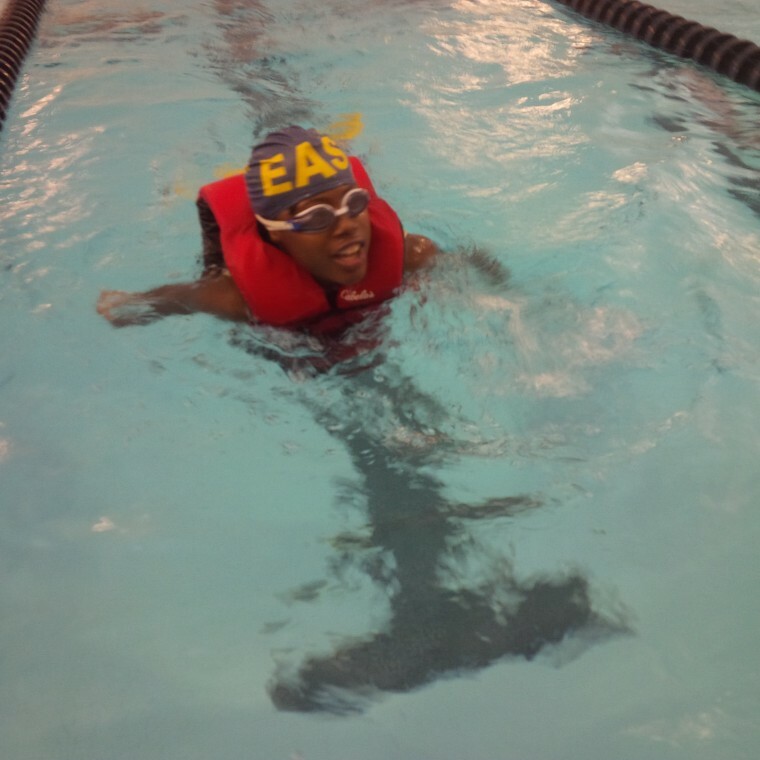 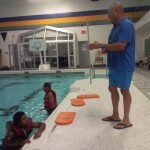 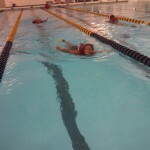 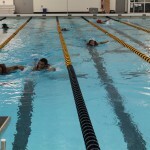 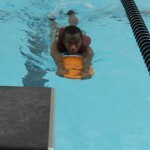 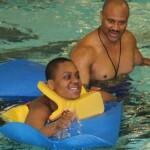 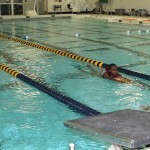 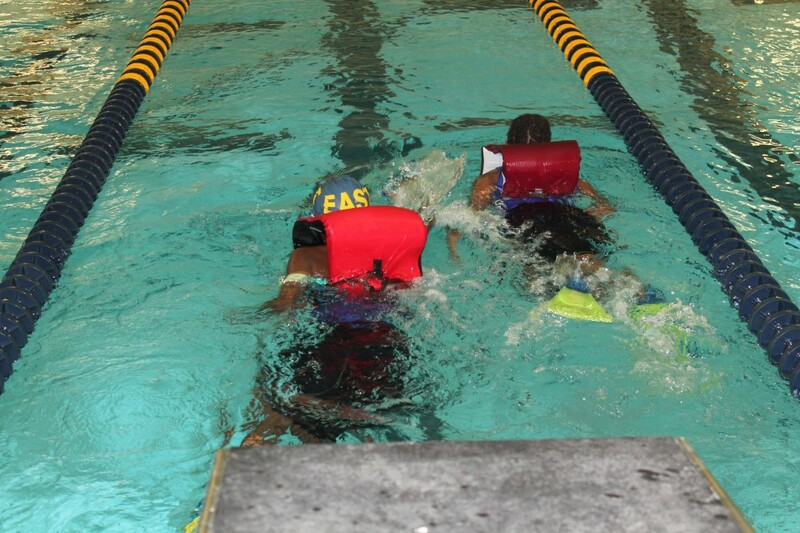 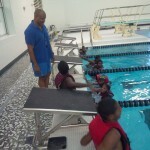 But indoors, 10 Diann Banks Williamson Educational Center swim team members are already in the warm, Olympic size pool. 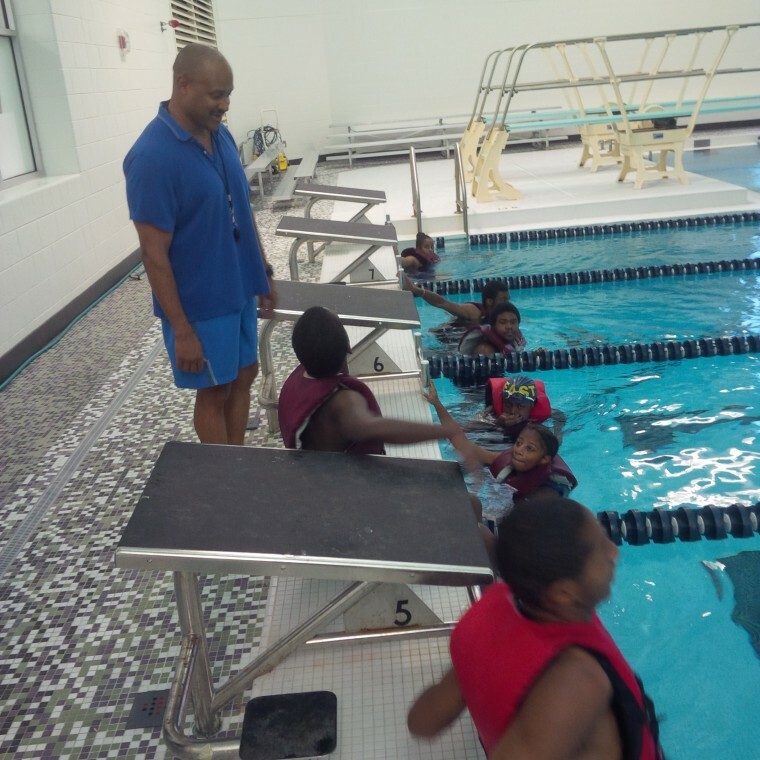 Under the direction of Coach Kenneth Dudley, they are training for the Special Olympics, as they do for 55 minutes at the start of each day. 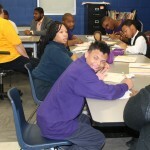 Everything seems to start buzzing early for the ninety-two, 14- to 19-year-old Moderate Cognitive Impaired, Severe Cognitive Impaired, and Severe Multiple Impaired students who will complete the program with MI-Access participation and supported independence levels in mathematics, science, social studies and English language arts, as well as instruction in life management skills, personal management, remedial reading and vocational training. 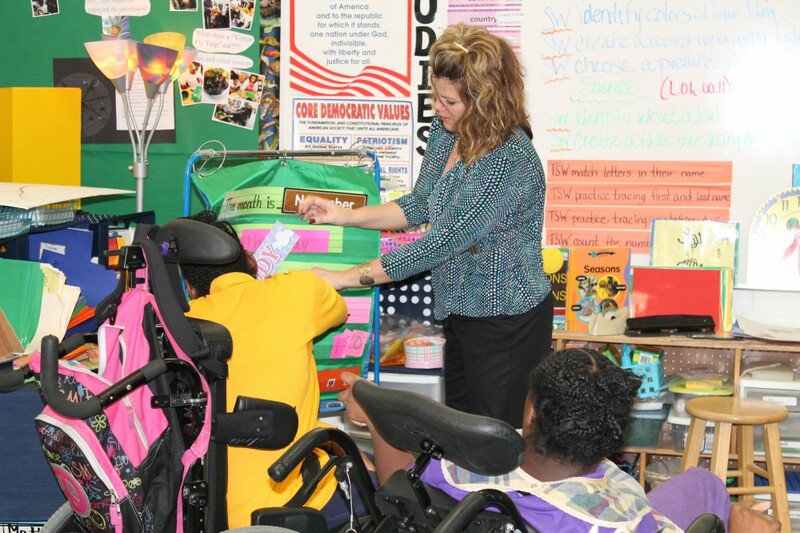 Instruction is based on the Michigan Curriculum Framework Extended High School Content Expectations (EHSCE) and the Common Core Essential Elements State Standards. 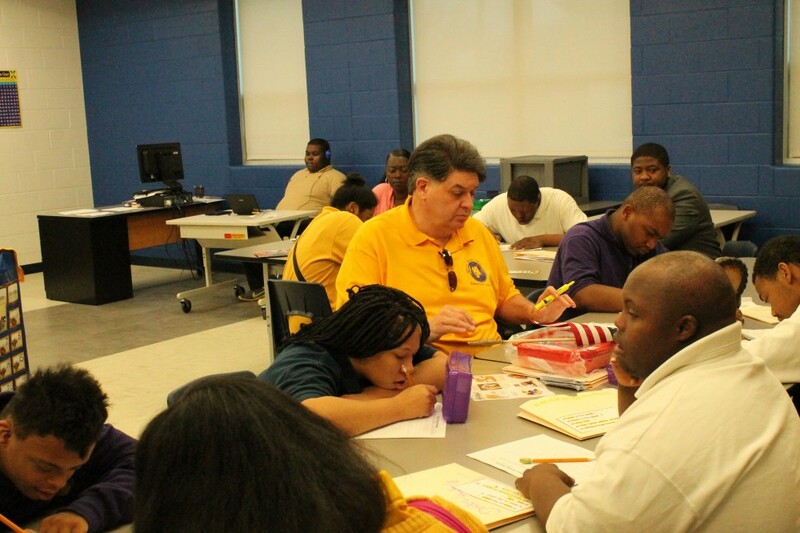 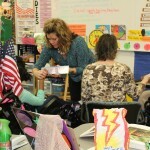 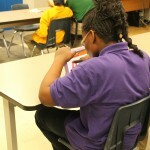 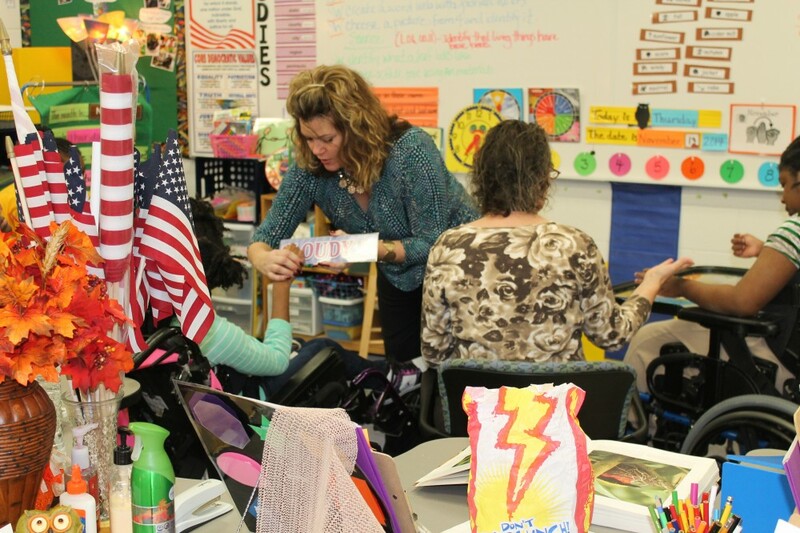 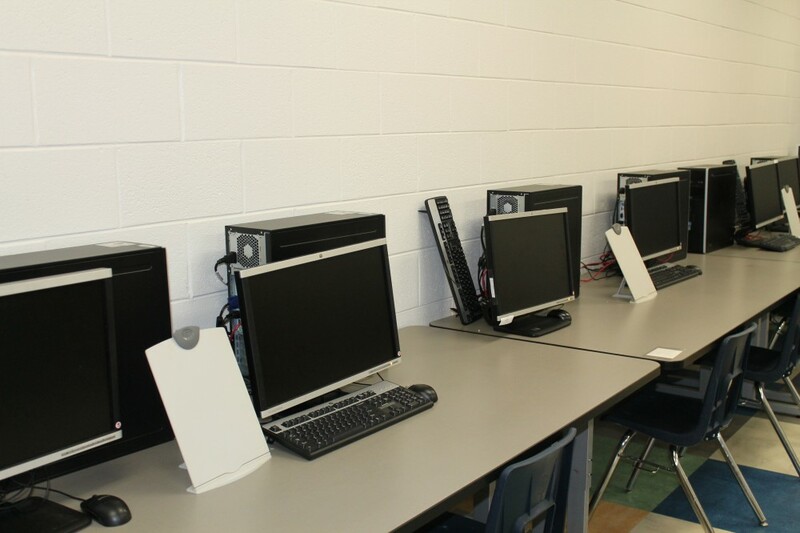 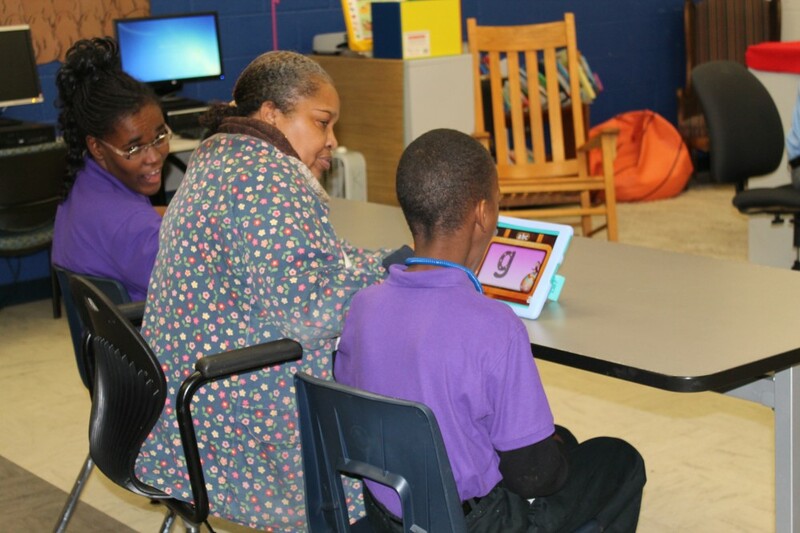 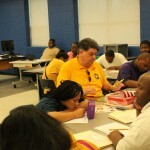 Students are assessed with the Michigan Alternative Assessment, known as the MI-Access. 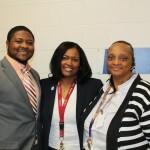 Many staff members arrive as early as 6:30 a.m. Busses arrive at 7:15 a.m. and students go to the cafeteria for a hot breakfast consisting of grits and French toast. 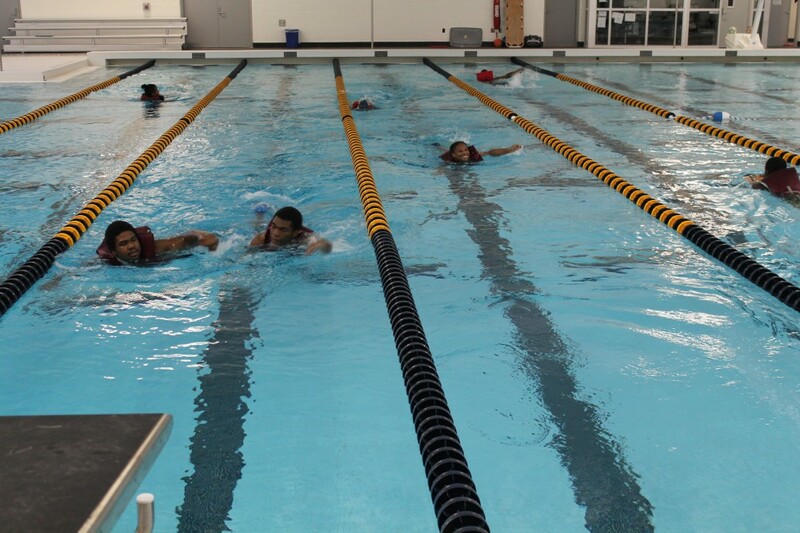 All students not in the pool during the first hour are in one of eight classrooms collectively focused on Positive Behavior Intervention Supports (PBIS). 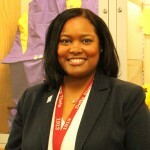 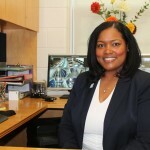 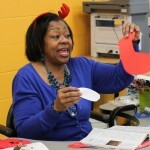 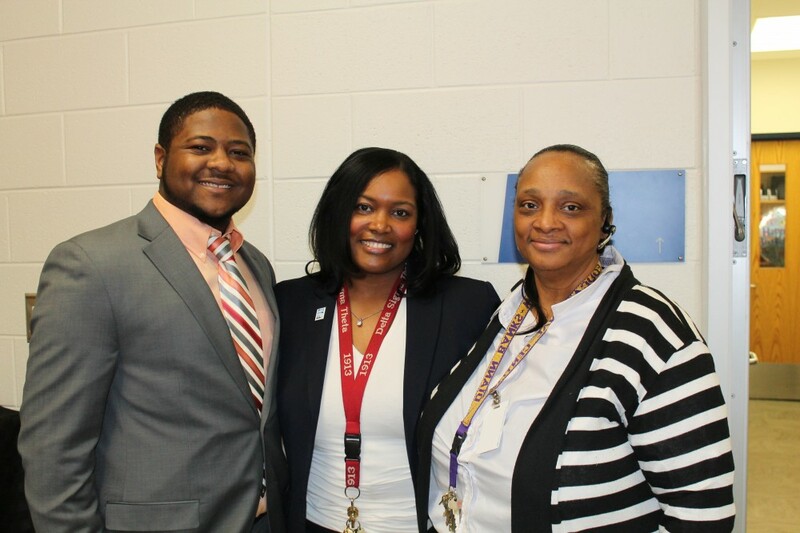 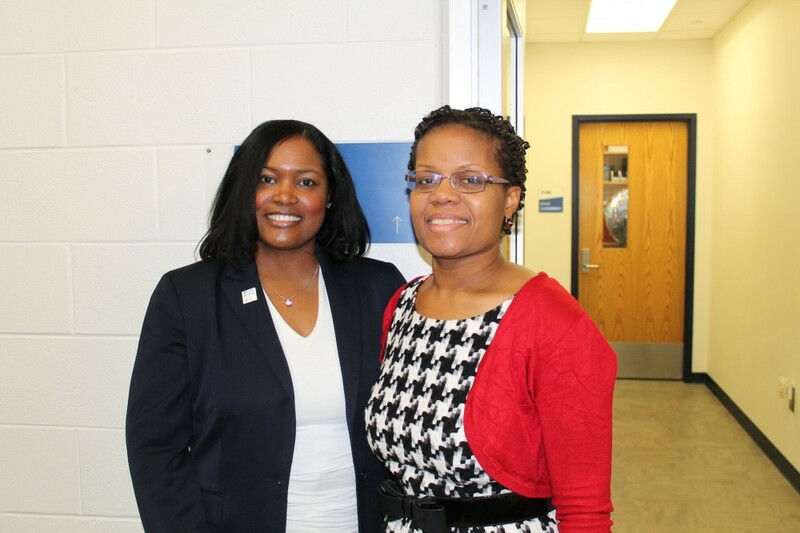 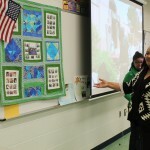 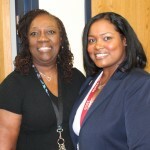 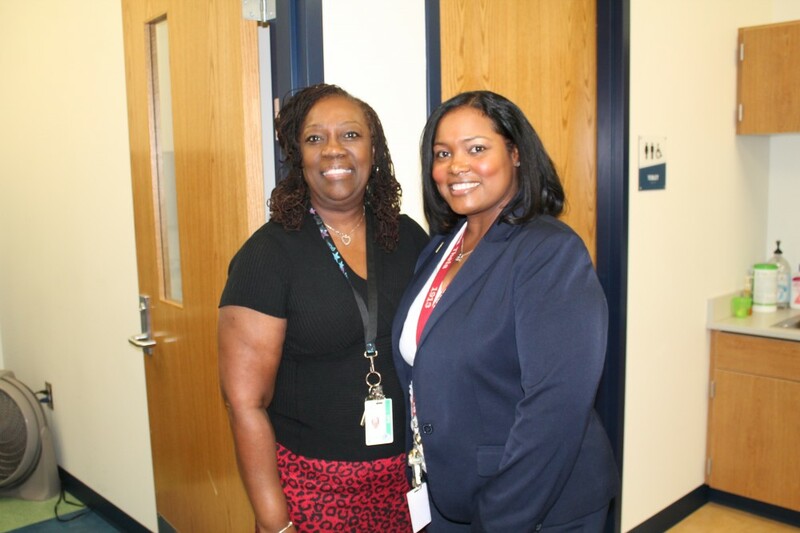 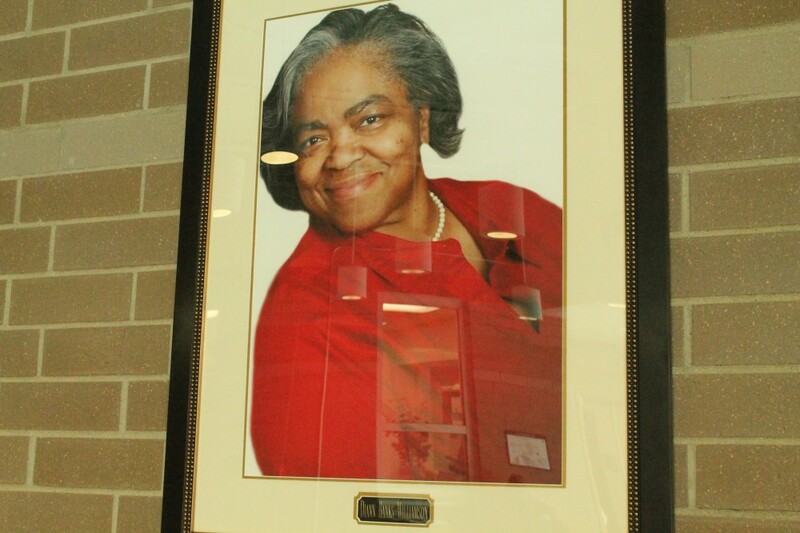 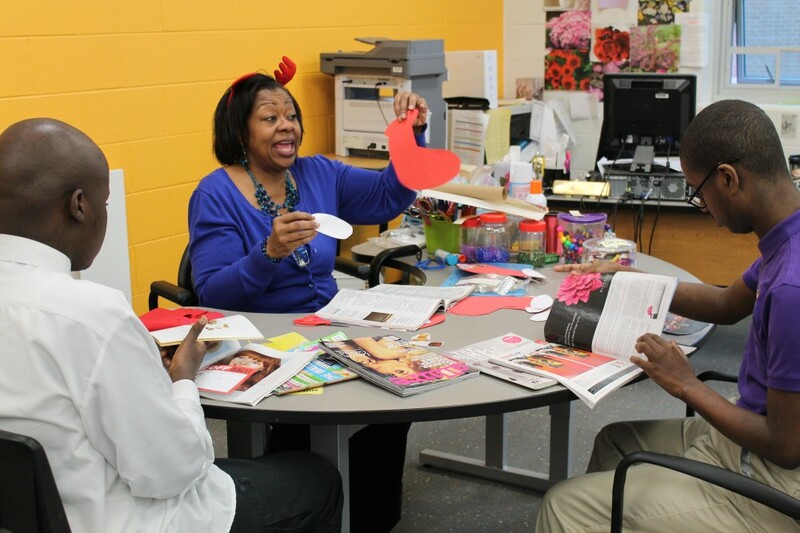 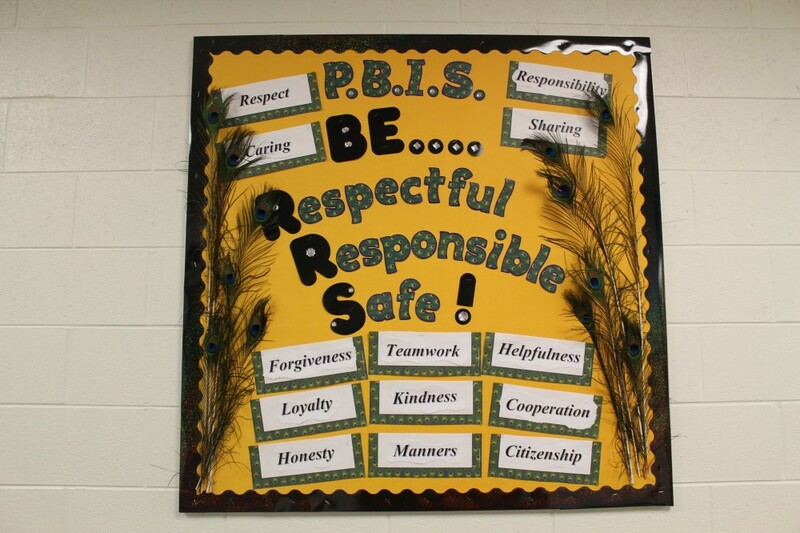 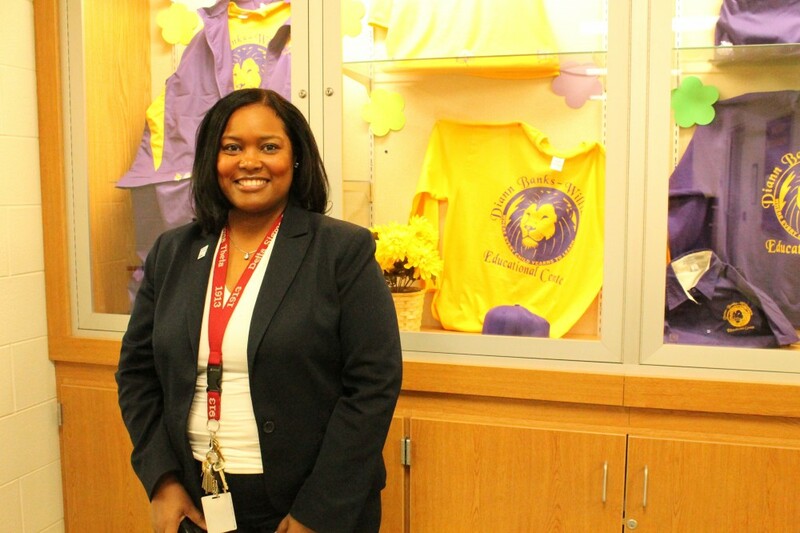 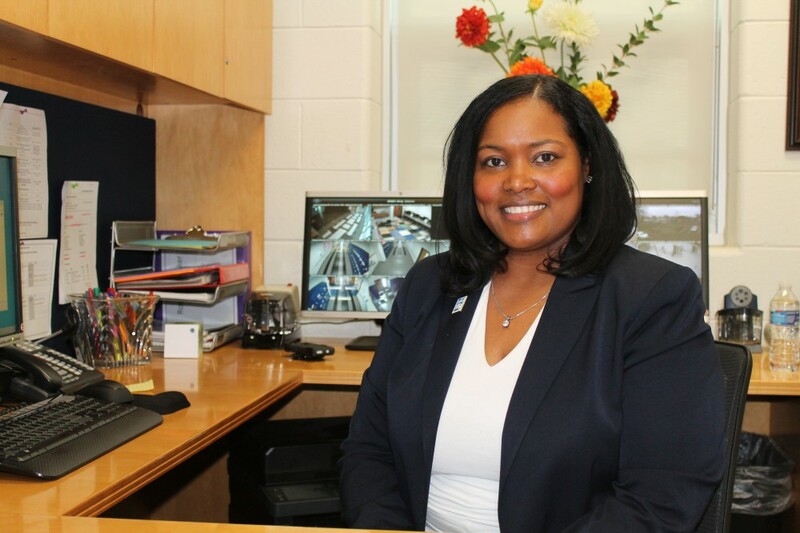 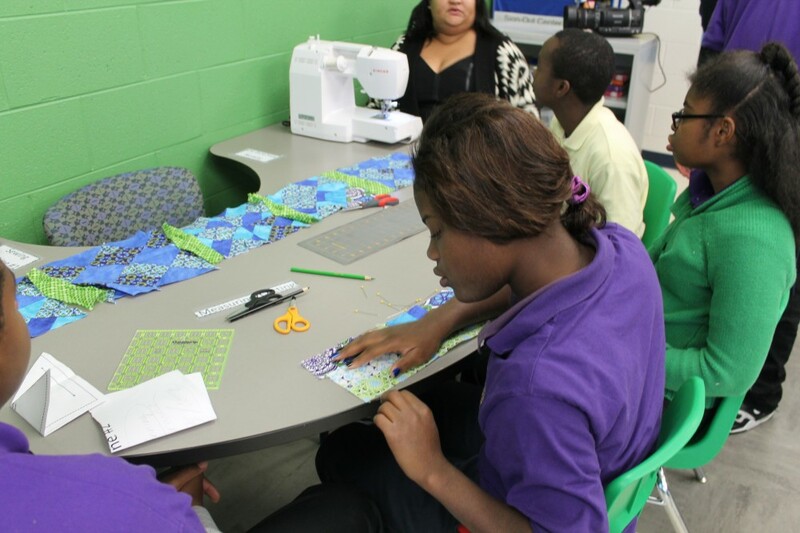 Second-year principal Roslyn Fluker and her educational team instituted the school-wide program this year and made it the focus for the full first class period each day. 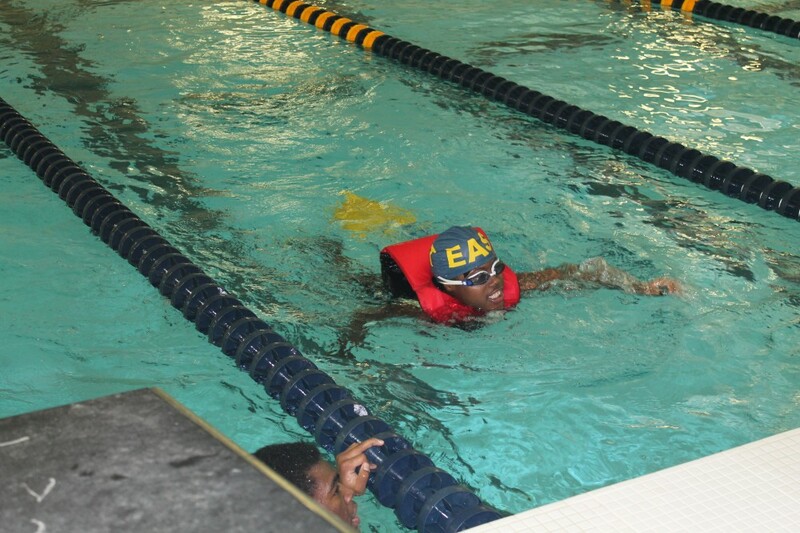 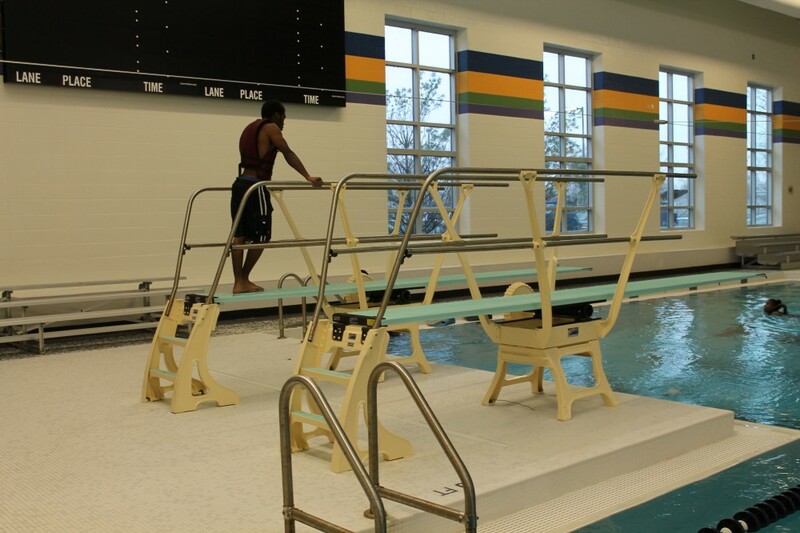 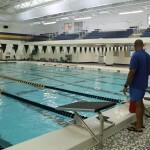 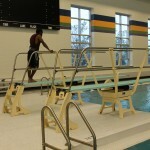 The pool is one of four shared spaces with adjoining East English Village Preparatory Academy (EEVPA), along with the cafeteria, gymnasium and auditorium. 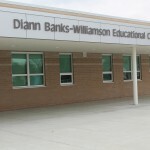 Diann Banks-Williamson staff members consider it an asset to share these spaces with the 1,500 EEVPA students who are in a comprehensive high school. 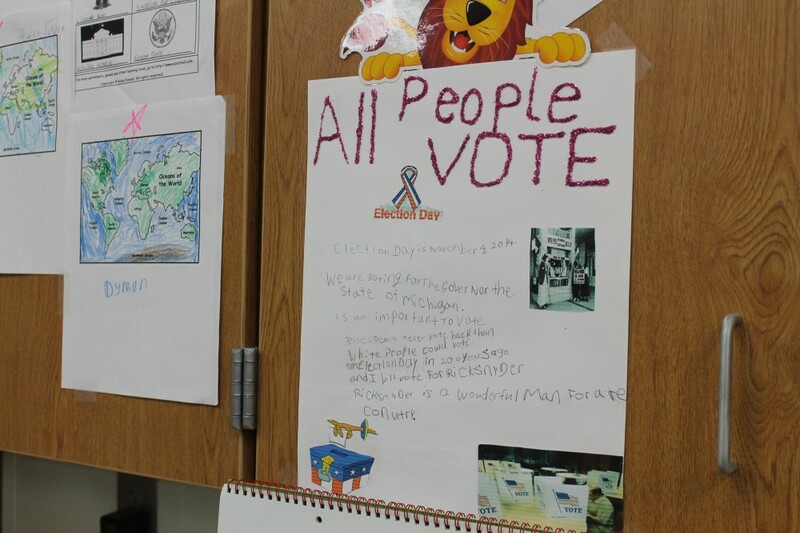 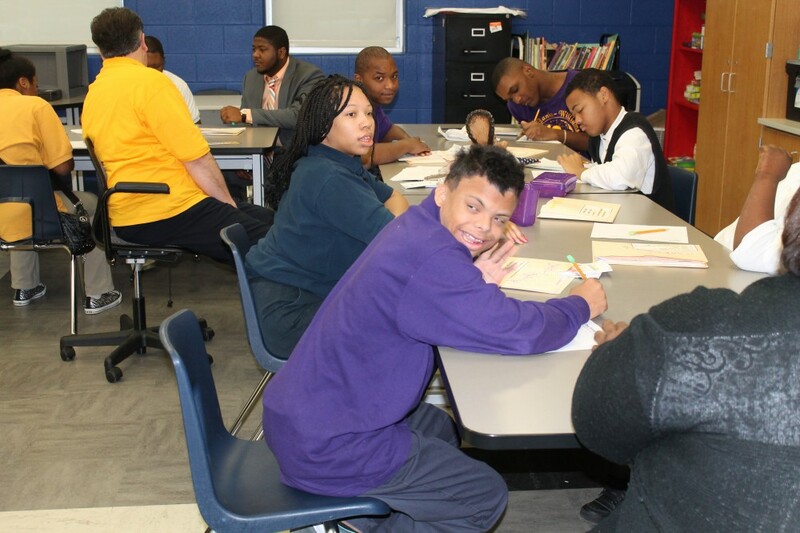 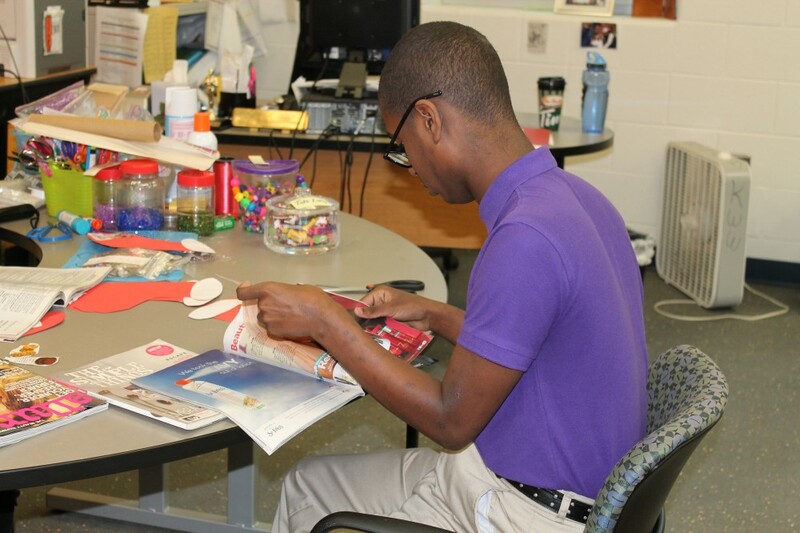 When some of Diann Banks-Williamson students share these spaces with their non-disabled peers, they are maximizing their participation level. 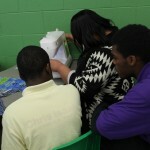 Monthly field trips also support that mission of exposing students to the world around them. 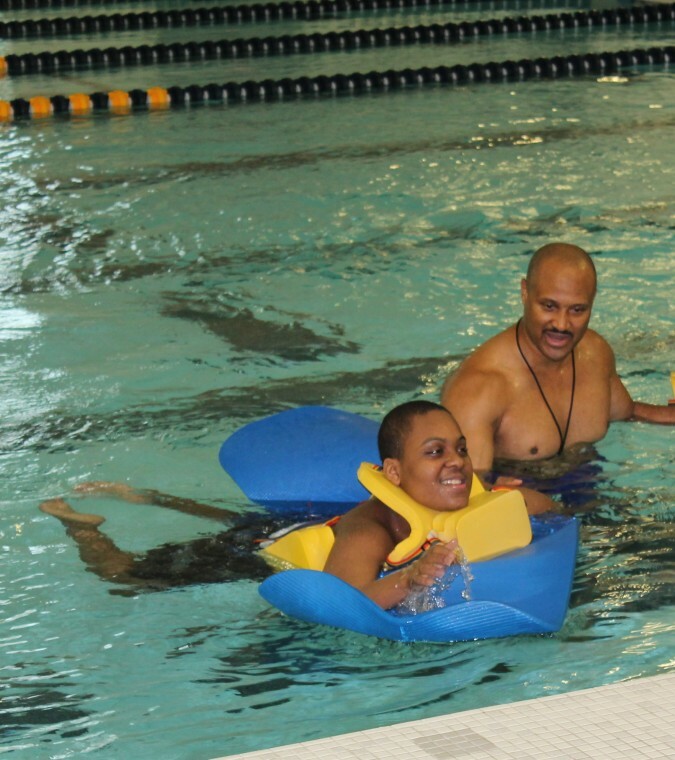 Coach Dudley’s swimmers do well at Special Olympics, but it’s really about progressively developing confidence in the 10, predominantly-MOCI students in the pool. 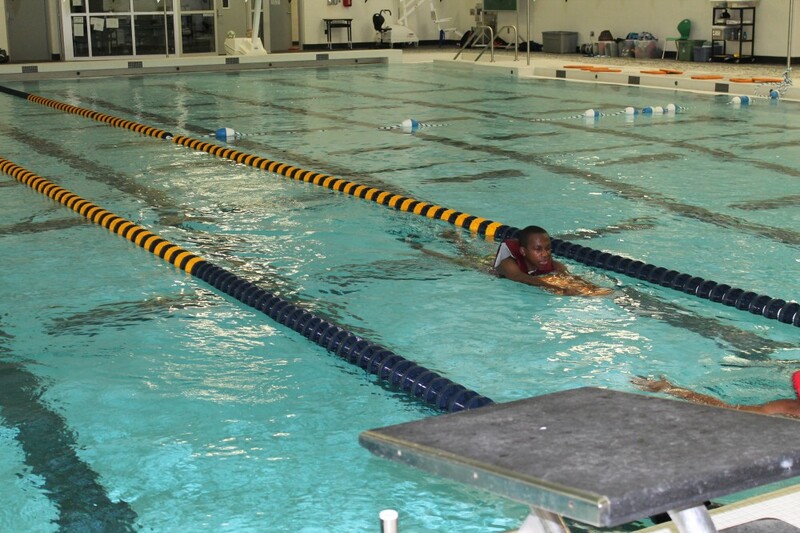 They begin in the shallow water, but at this point two months into the fall semester, the students are swimming lengths and diving in the deep end. 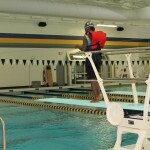 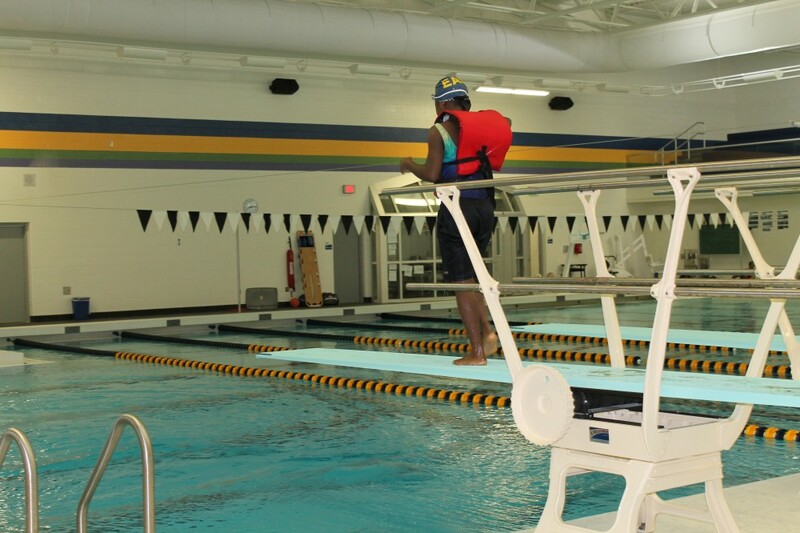 The focus on progression means that the life vests that the swimmers currently wear will be removed in January. 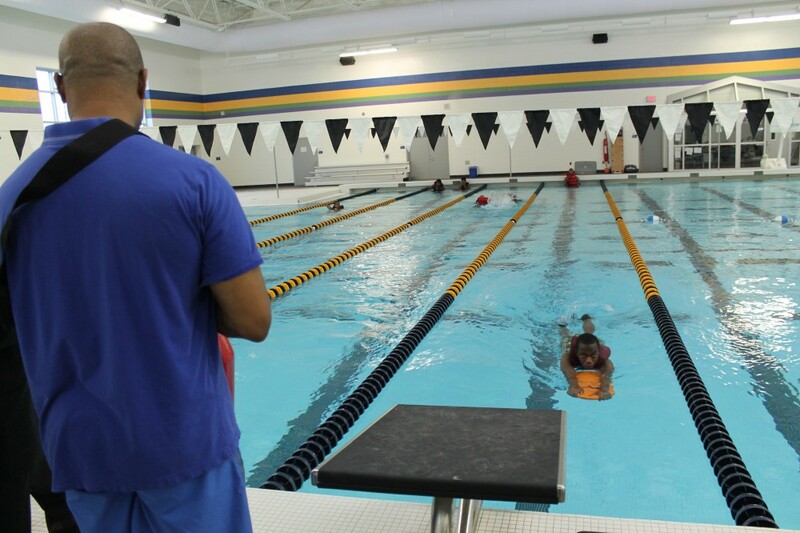 “It’s part of the whole-child development,” he says, noting that the swimming provides health, fitness as well as leisure benefits. 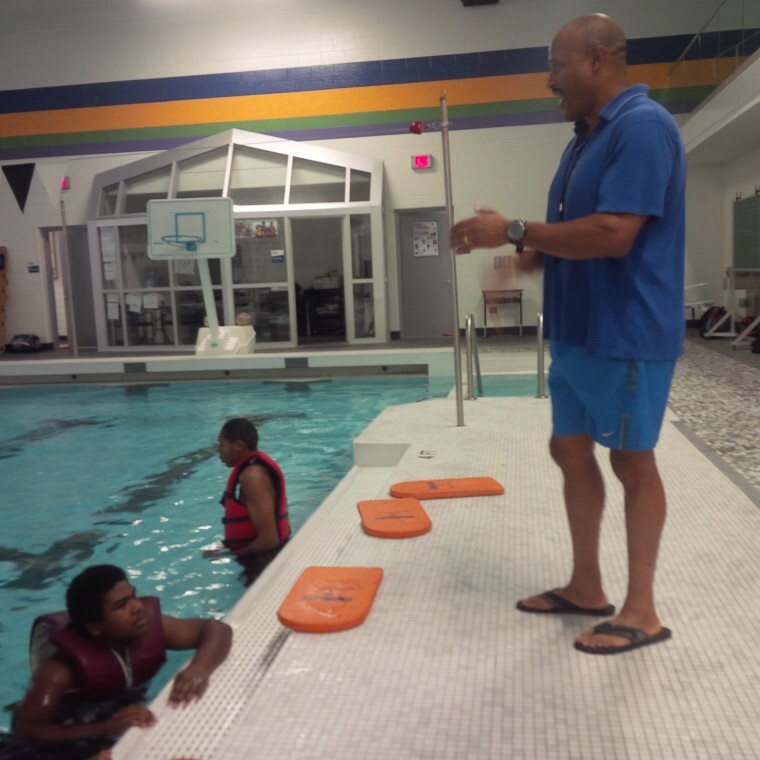 He introduces one swimmer who he says would have every chance of becoming a Life Guard professionally if the procedures surrounding the entrance test could be modified to accommodate him. 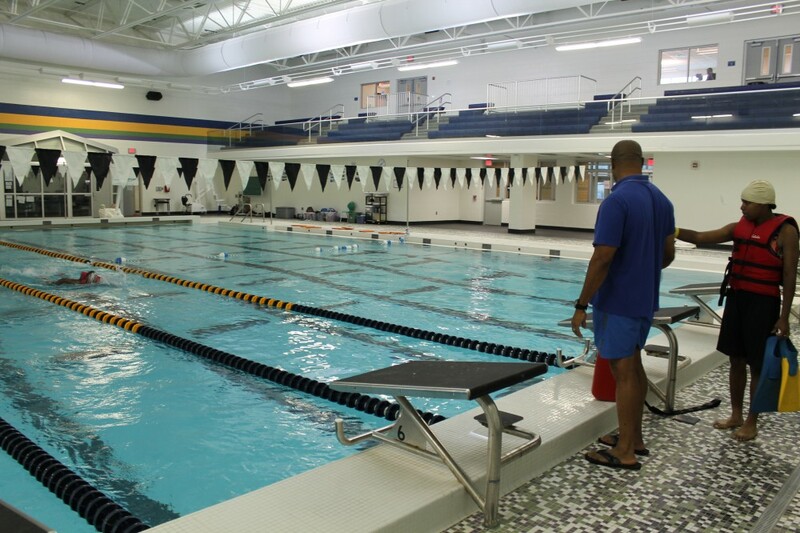 Dudley began the swimming instruction 10 years ago when this educational program was housed in the former Kettering West Wing. 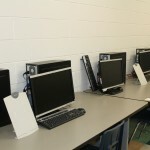 The new facility opened 15 months ago and provides a 20,000 square-foot, top notch center-based special education building that is earth-friendly with modern technology, a dedicated clinic, computer lab, showers and changing rooms. 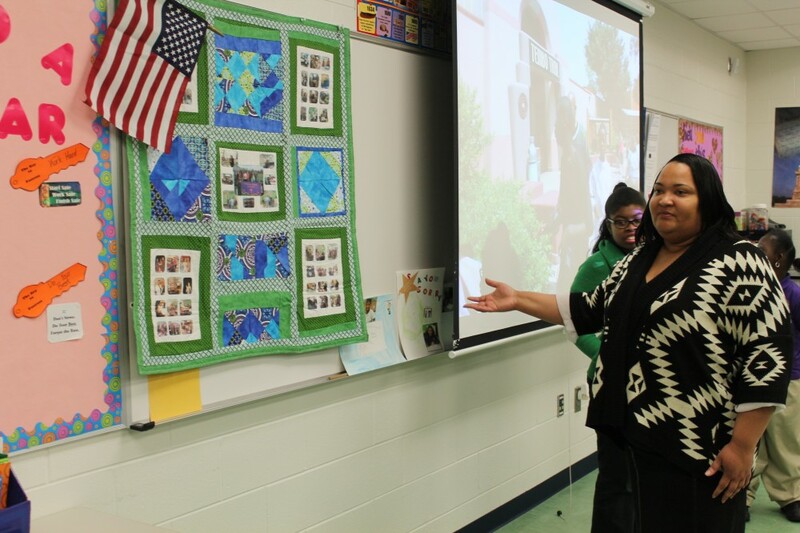 Principal Fluker credits her team of certified teachers, support staff and teacher assistants with continually addressing what they describe as the yearning for learning. 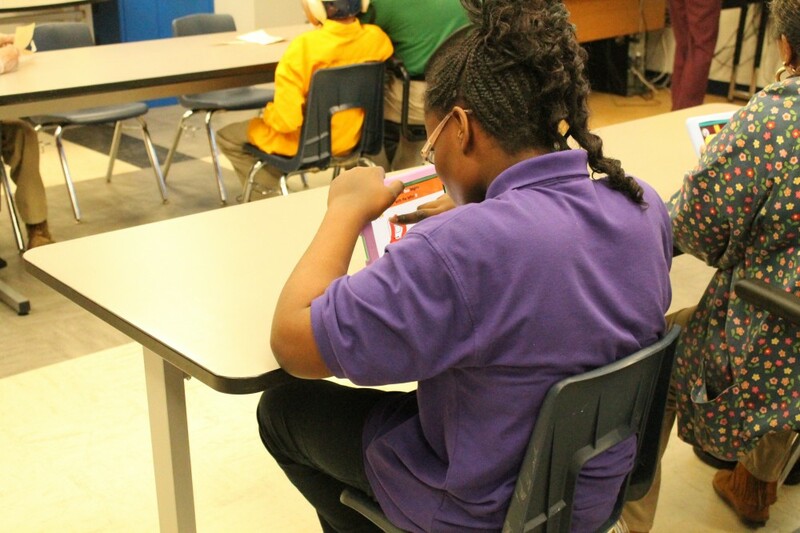 It’s evident in each well-focused and active classroom, all before the 8:45 a.m. bell rings to end first hour. 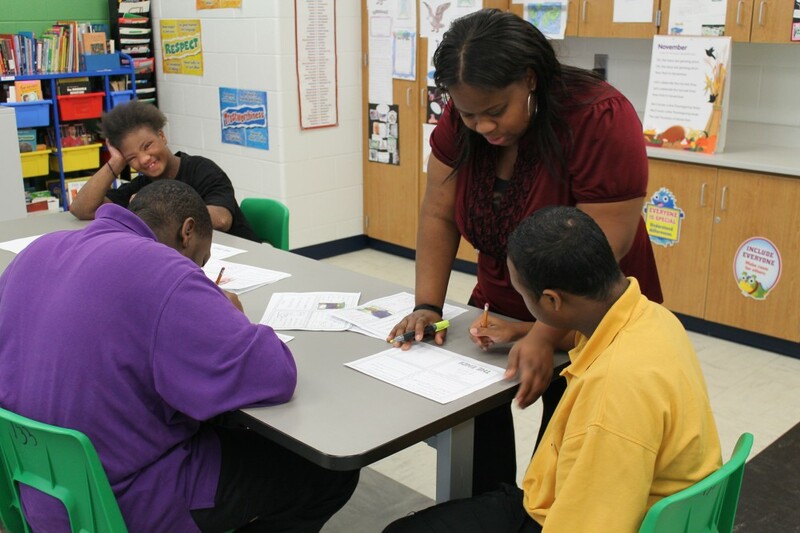 In Ruth Theisen’s English Language Arts class with SCI students at the other end of the school, she and a total of five assistants emphasize that participation is the most important focus and completing the task is everyone’s goal. 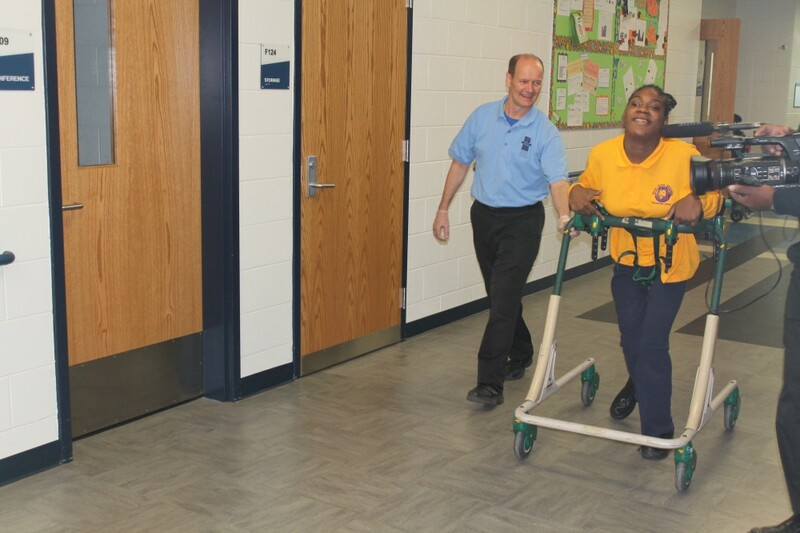 In the main hallway, physical therapist Bruce Rabey is also focused on assisting students in making progress as he assists a young girl with navigating a large tricycle through the doorways and passageways. 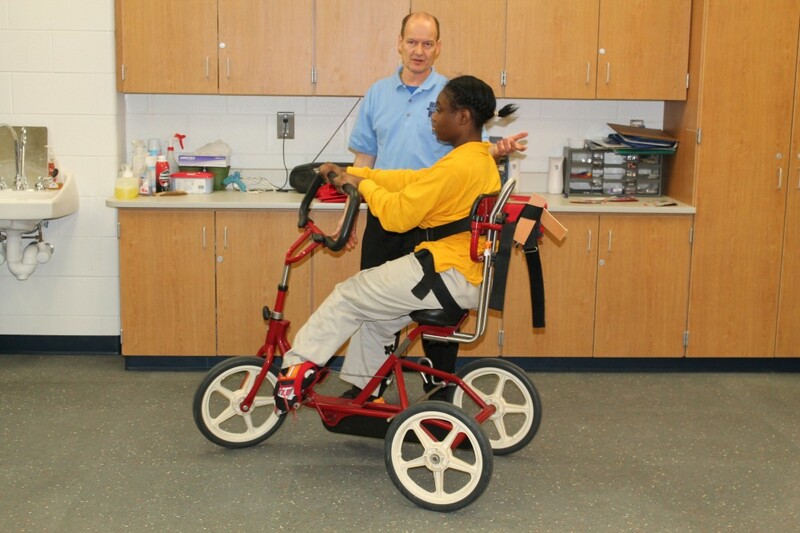 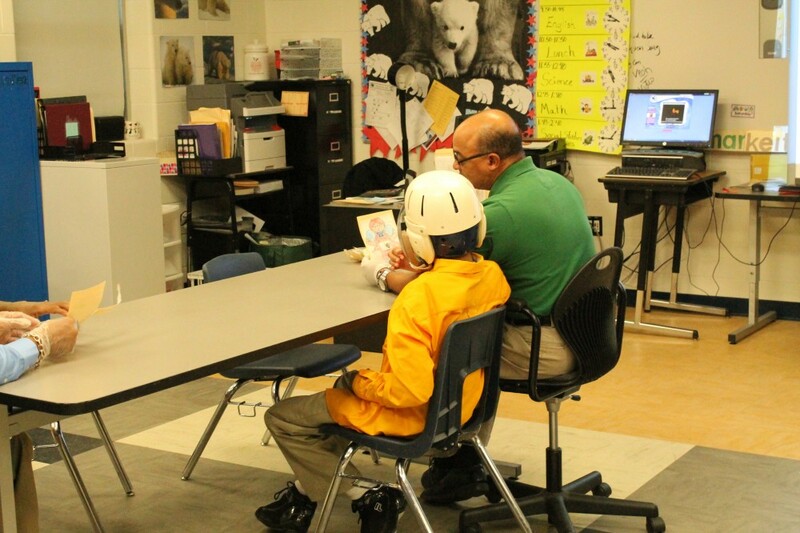 His goal is to move the student, who typically relies on a wheelchair, to use a walker or walking machine to eventually walk independently. The swim students have an additional, cross-curricular academic opportunity in the classroom setting each Friday, with a study guide for review, assessments, and an opportunity to view video analysis of themselves and others swimming. 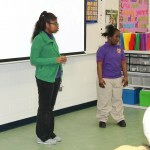 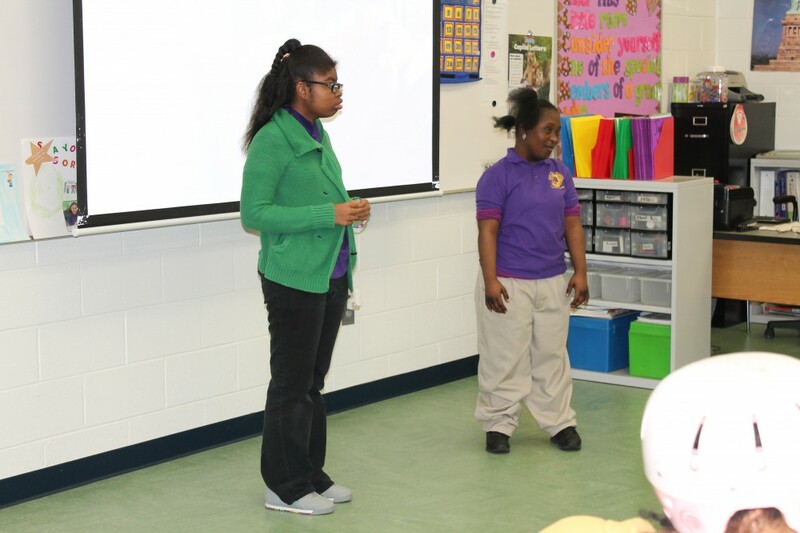 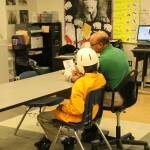 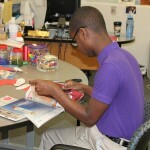 The students are able to think deeper and work on other academic skills such as language arts. 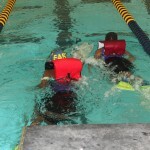 As a result, they leave with their own swim class portfolio with evidence of their hard work. 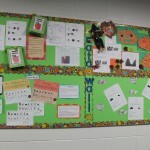 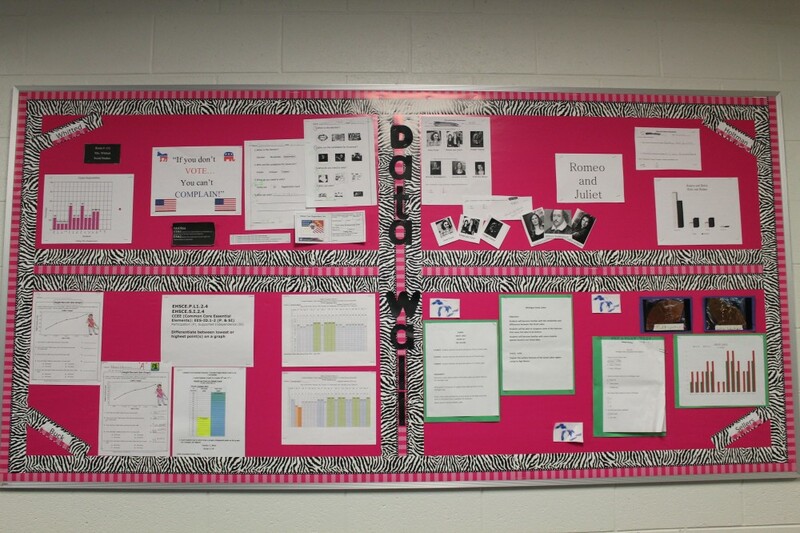 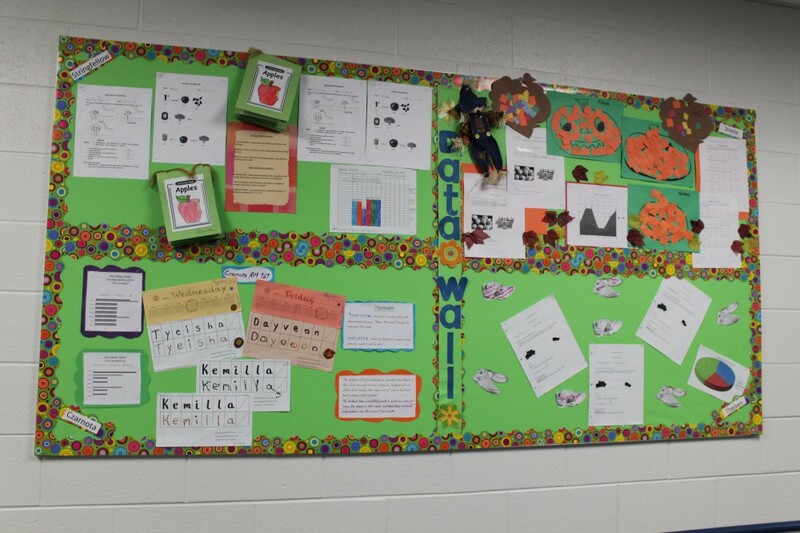 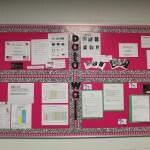 There are Data Boards at each end of the wing for each group of students displaying progress on such factors as Fine Motor Skills and pre-Handwriting. 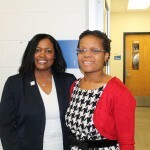 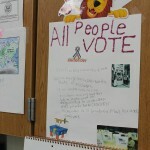 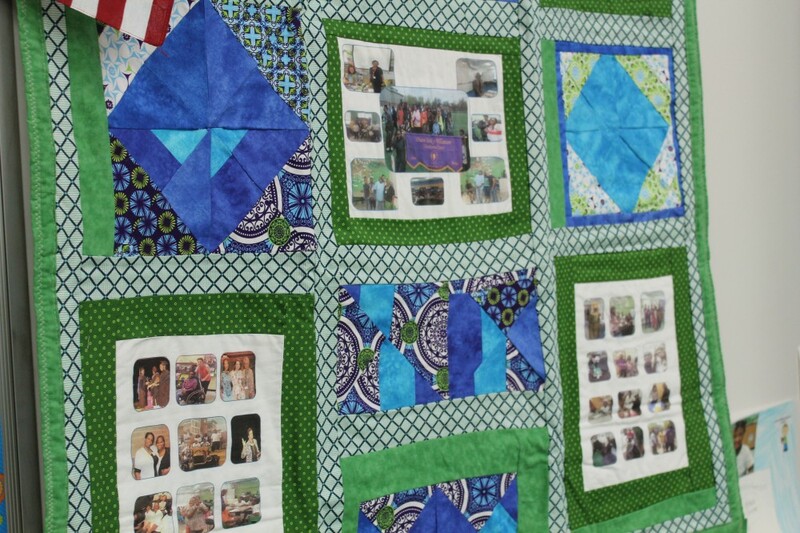 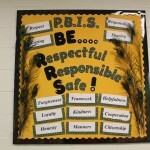 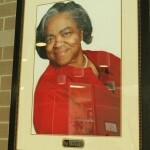 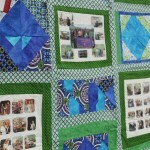 This entry was posted in Featured School, Info News Center, News and Press Releases, Student Showcase and tagged 541.